Emory University’s BBA program ranks among the best in the nation, according to Poet and Quants’ recent analysis of Bloomberg Businessweek and U.S. News & World Report 2014 rankings. 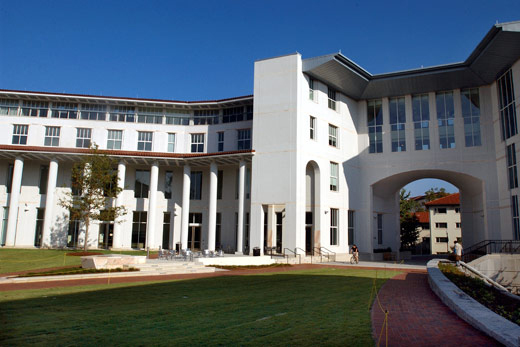 Emory’s Goizueta Business School tied with University of Michigan’s Ross School at 7th in the nation in the Top 100 Undergraduate Business Programs. In an interview with Poets and Quants, senior associate dean and director of the undergraduate business program Andrea Hershatter noted Goizueta’s strength in targeting feedback and coaching to students’ individual needs. "Every student when they come in has their parents and co-workers fill out a survey, then they get a report and an hour of one-on-one coaching with members of the staff and advisors to talk about competency and opportunities for growth. We cluster them so we can tell a student is really strong if they have a meaningful impact on their organization. If they are not so strong we coach them over the next two years to have experiences that will help them grow in a lot of ways. We do the same thing in our business communications courses. We examine what their propensities and behaviors are, and how they communicate." "Students who have BBAs are most capable of hitting the ground running in business organizations and have the most opportunities in those arenas," says Hershatter. The degree "enables them to get a meaningful job after they graduate. In addition, it allows them to do that job particularly well and move up rapidly, which increases your chance of getting into top-tier MBA programs." "As much as MBA programs embrace students from all majors, the truth is that their number one best-represented undergraduate major is business." Read the full interview with Hershatter.